“The personal is political” was a concept born of second-wave feminism, but it also perfectly encapsulates the ideas driving this powerfully emotional play about assisted dying and the consequences of policy on the individual. While it cemented the talent of Linda Cropper, it featured a career-making performance from Johnny Carr. US playwright Annie Baker is one of the finest voices working in theatre anywhere in the world, and she brought us a dazzlingly clever, intellectually labyrinthine meditation on storytelling with this play set in a writers’ room. Director Ella Caldwell did a superb job gathering the finely drawn performances of the Red Stitch ensemble together. Michele Lee is such an exciting voice in Australian drama right now, and this co-production with STC and Malthouse helped spread a love for her that will no doubt continue to grow. A riotously funny satire on cultural expectations and the limits of identity politics, it was also a poignant and profound commentary on ancestry and the debts we owe. Branden Jacobs-Jenkins is a US playwright whose every word seems politically charged, and here he lines up his targets with deadly accuracy. A workplace comedy with horrific consequences, it received a classy and sharp production at MTC under the strong hand of director Lee Lewis. 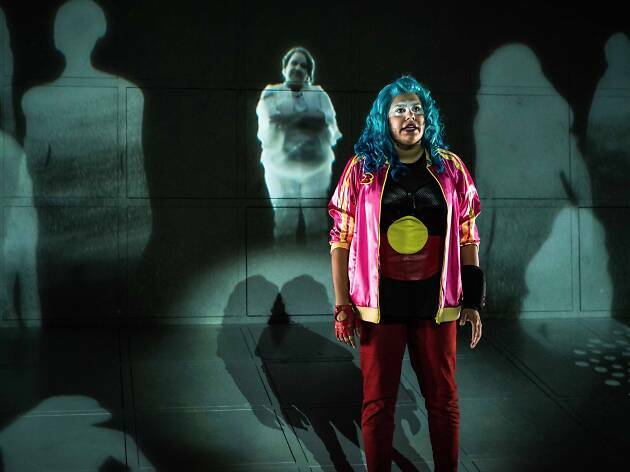 Lee Lewis was responsible for another searing political work with Angus Cerini’s extraordinary play of murder and burial, an award-winning piece that took its sweet time to get to Melbourne, having originally premiered at Griffin in 2015. It was worth the wait, for the finely wrought poetry of the language and the deadly performance of Paula Arundell. Victorian Opera brought us a work not seen in this city since 1876, and it also proved worth the wait. That insanely familiar overture turned out to have surprises of its own in a production that managed to speak directly to contemporary political tendencies without seeming opportunistic. US choreographer William Forsyth gave us a literal quiet evening in the first half of this program for Melbourne Festival, where his dancers performed without music. Spare to the point of austerity, it only made the moment music was introduced in the second half the more glorious. Sectional, precise and displaying some of the finest technique this city has seen, it was unforgettable. The Production Company had a terrific 20th anniversary year, finishing on a highlight with this witty adaptation of Kind Hearts and Coronets. Directed by the criminally under-appreciated Roger Hodgman, this was an utterly frivolous confection with absolutely nothing political to say and a total delight. Nakkiah Lui’s consistently arresting pop-infused thrill ride through the politics of retribution was so funny it was almost possible to miss the savage political thrust of the piece. That is, until Dalara Williams delivered her devastating monologue of death and destruction half way through. Breathtakingly good, and returning next year for those who missed it. Stephanie Lake is one of our finest choreographers, with a wealth of fabulous work behind her, but this piece represents a great leap forward for her and for dance in this country. On the tiny Fairfax stage, she harnessed the devastating energy of almost 50 dancers to extraordinary effect. 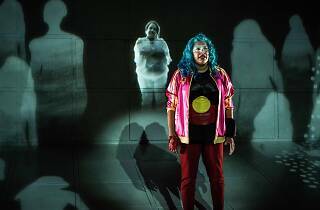 Cosmic and microcosmic, it was dance as a kick to the solar plexus and as complex a political statement as anything on a Melbourne stage this year. Still not done with 2018? Here are the best shows to see in December and our hints for scoring cheap theatre tickets.